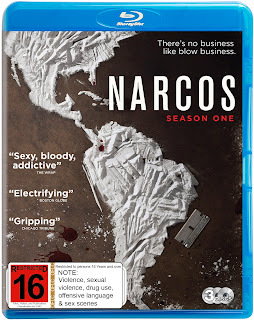 Based on the incredible true story of Pablo Escobar, Narcos is an inside look at the men who would stop at nothing to take down the notorious cocaine trafficker. This ground-breaking series takes an unfiltered look into the war that would change the drug trade forever. They were violent, crazy and filthy rich guys used to getting what they want… one way or another.